IK Mukltimedia, who make some incredible software and recording tools announced that Syntronik™, the legendary synth powerhouse for Mac® and PC, is now shipping worldwide. What makes this so special is that it is the definitive and best-sounding collection of vintage synthesizers in a virtual instrument to date. It provides unsurpassed quality and flexibility thanks to an entirely new combination of the most advanced sampling techniques with a unique hybrid sample and modeling synthesis engine, a large assortment of high-quality modeled effects and innovative instrument features. Adding even greater realism, the proprietary DRIFT™ technology in Syntronik varies the phase, color and pitch of the sampled oscillators in a subtle fashion to keep them moving just like real analog oscillators. Much more than simple detuning or even multiple-source modulation, DRIFT faithfully reproduces the behavior of oscillators from real hardware synths. Syntronik Free is a great way to check out the superior sound quality and flexibility of the legendary synth powerhouse at no cost. In this version users can experience all 17 instruments with 50 available sounds including the full functionality of all controls, 38 effects, 4-part layers, splits and arpeggiators. 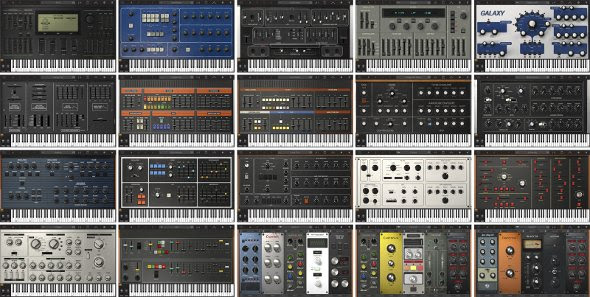 Users who want to build their customized synth studio one instrument at a time can easily expand Syntronik Free via the built-in “In-App Shop”. Each of the 17 instruments, available separately, has full functionality and includes all the presets relating to the corresponding instrument from the collection library. 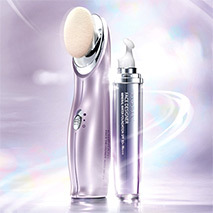 Users with qualifying IK products* can crossgrade for as low as $/€199.99** via direct download or $/€229.99 for a boxed copy. 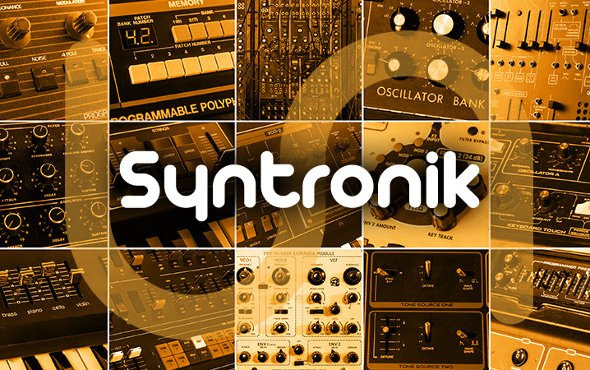 New users can get Syntronik for as low as $/€299.99 via direct download or $/€329.99 for a boxed copy. Syntronik Free is available as a complimentary download from the IK Multimedia website and is expandable with Syntronik Instruments available individually via the built-in “In-App Shop” for $/€49.99 each.